Barbados is a small, but culturally very diverse island in the southern part of the Caribbean, a few hundred miles north of Venezuela. This island nation is steeped in the culture of the West Indes, and is a perfect place to enjoy street music and relax on the shores. If you want to feel like you've traveled to the other side of the world on your beach vacation, consider visiting Barbados. This island is small, but very beautiful, and many locals recommend touring the oceans outside Barbados by kayak. Learn more here! Barbados is a small, but culturally very diverse island in the southern part of the Caribbean, a few hundred miles north of Venezuela. This island nation is steeped in the culture of the West Indes, and is a perfect place to enjoy street music and relax on the shores. If you want to feel like you've traveled to the other side of the world on your beach vacation, consider visiting Barbados. This island is small, but very beautiful, and many locals recommend touring the oceans outside Barbados by kayak. 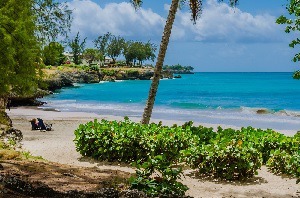 Escape to a vacation rental in Barbados for an experience you will never forget! The island is small with only a population of about 260,000. Although it's not crowded, the island is full of culture! The creative community is a vibrant one with many artists producing work in every media. The clothing designers are very creative and the craftspeople design beautiful and unique gifts that can only be found here. Drawing from the African, Caribbean and Anglo experience, much of the work here is delicate and one-of-a-kind! 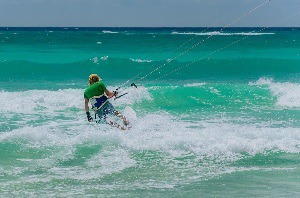 There are a number of different kinds of activities that you could experience on your island vacation. This includes everything from cricket, fishing, hiking, horse racing, kite surfing, parasailing, surfing, and windsurfing. However, many locals and vacationers alike recommend exploring Barbados by kayak! Enjoy a wonderful experience as you glide across the crystal clear Caribbean waters through the tropical breeze and past white sandy beaches. Taking the trip by kayak lets you see a number of views all at the same time. It will take you over coral reefs and help you catch a glimpse of the breathtaking underwater life. For those who want to experience this adventure on more calming waters, the west coast 's waters are ideal. For a more exciting adventure, journey to the south coast , where you can rent kayaking gear from many of the water sports shops there or at Dover Beach. While on vacation in Barbados, make sure to check out the vibrant night life. Visit the Plantation Theatre for dinner and a stage show that is designed to offer visitors a genuine representation of west Indian culture. Visitors can educate themselves in this rich culture while enjoying their vacation. Bajan Roots & Rhythms, known for its interactive segments and party atmosphere, allows its guests plenty of opportunities to join in on the fun. This cultural extravaganza is an all inclusive value package, complete with costumes, thrilling choreography, music, song, dance, and the red-hot excitement of a fire-eater and flaming limbo. This is one of the many fun and interesting things to do while on your Barbados vacation! Click here for our full list of Barbados vacation rentals!